There is an option missing after “Are you rich and insane” – no – “Are you just insane” – yes – You should be a Subgenius. 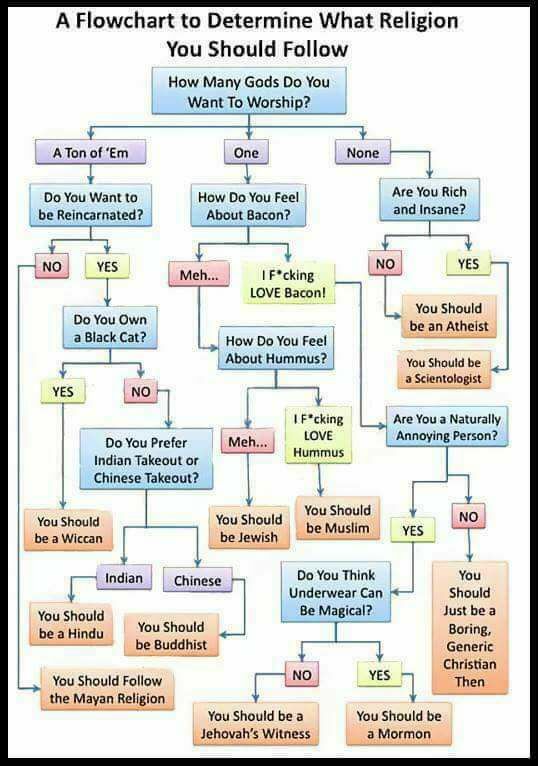 LOL – can I be a Moslem, Hindu, Wiccan atheist Buddhist? With a side of heretical Catholic …. see, THIS is why I get called a poly-deist!